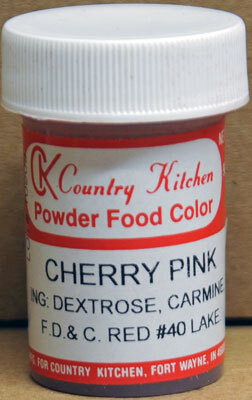 This cherry pink is a pretty color, but it contains carmine, as do some of your other colors. Many people do not know that this is a bug, a tiny bug from Mexico that is used for it's blood red coloring. It's used in many pink colored foods, like yogurt. A safer, more humane source is beets. You sell beet powder. Why can't your colors contain a vegetable instead of a bug? Q: How much does it take to color a cup of mix?